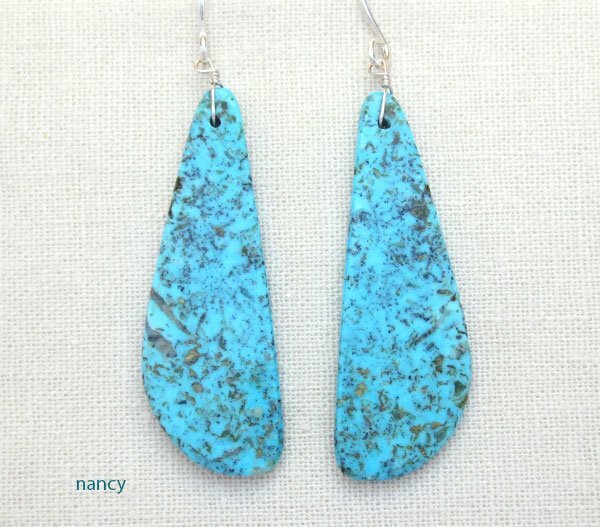 There's such an endless variety in slab earrings! 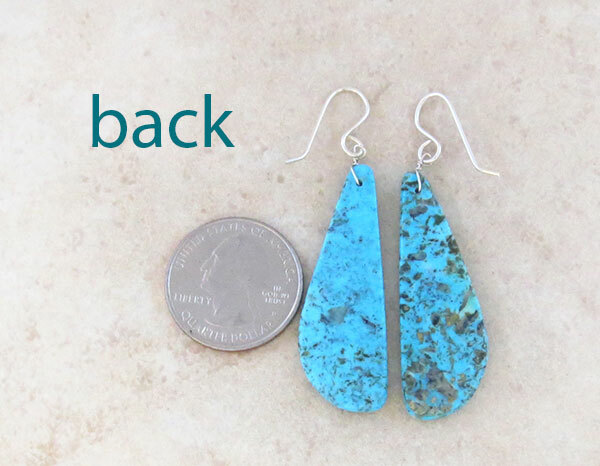 These earrings were cut and polished by Kewa (Santo Domingo) Artist Marcella Castillo. 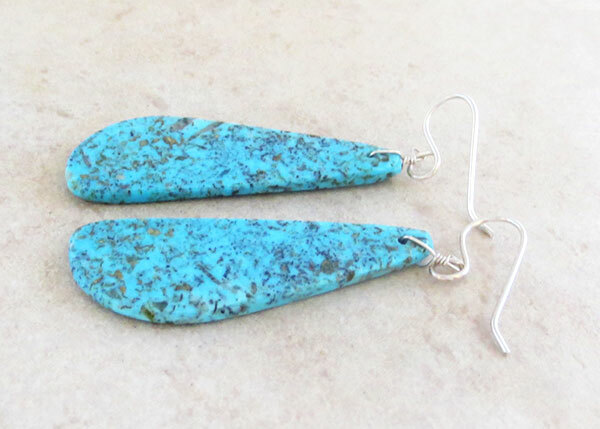 The turquoise is a sky blue with a speckled browns.